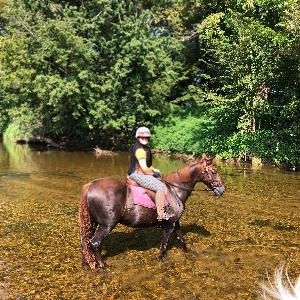 Up For Lease: 15.2hh liver chestnut QH/Saddlebred non-gaited gelding. Ruckus is a trail riding machine!! 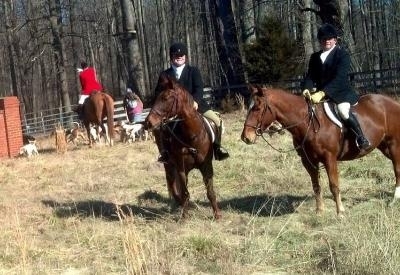 He has multiple years Fox hunting with Farmington Hunt Club—who know him by name. 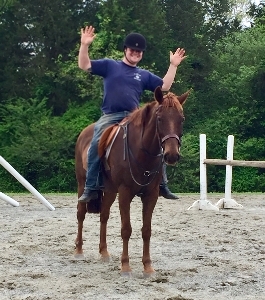 He is an outstanding non-spooky, level headed, very educated gelding, with a easy going well mannered personality. This guy is truly a once in a million horse!! Ruckus has taught multiple lessons (beginners to pros) and is good with children, dogs, tractors, all farm equipment,...Honestly he is the jack of all trades!! Would prefer an intermediate to advanced rider. Can EASILY connect lease with an instructor/trainer for weekly lessons. Currently lives on a farm in Charlottesville not far from Wegmans and Brookhill Farm. Looking for either a 1/2 or full lease. Owner pays all expenses (Ruckus’s). Leaser is response for lease fee and bridle cleaning—no hidden fees. Low-key videos upon request.